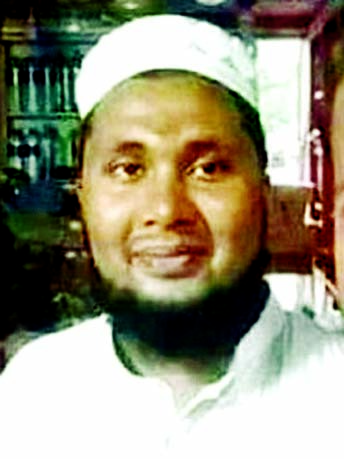 Members of Counter Terrorism and Transnational Crime (CTTC) have arrested the son-in-law of Bangabandhu's killer Sultan Shahriar Rashid in a case filed under the Information and Communication Technology (ICT) Act for posting derogatory comments against Bangabandhu on Facebook. The accused, Fuad Zaman, is the husband of Shehnaz Rashid Khan, the daughter of Rtd Lt Col Sultan Shahriar Rashid, was arrested from Hatirjheel in the capital on Wednesday night, said Dhaka Metropolitan Police's Additional Deputy Commissioner (Media) Obaidur Rahman. In the meantime, a Dhaka court remanded him three days when he was produced before the court with seven days remand plea. Earlier, Fuad made derogatory remarks on Bangabandhu Sheikh Mujibur Rahman and praised the killers of him on his Facebook post on August 15, said the case report. 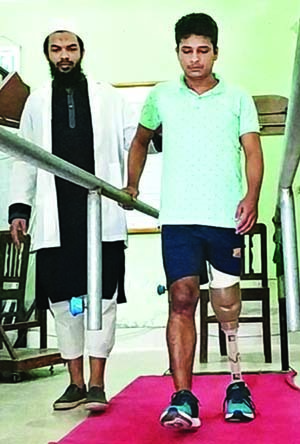 Mohammed Nazmul Hassan Piyash, a member of Ahsanullah Science and Technology University wing of Bangabandhu Engineers Council, filed the case under the ICT Act in Dhanmondi Model Police Station on Aug 23. According to the case, Fuad had written derogatory remarks on the gruesome assassination of Bangabandhu and openly supported the killers of Bangabandhu in a Facebook post on Aug 15. The issue is 'severely disrespectful, image-tarnishing and provocative' to the father of the nation, the complainant said in the case. On August 15, 1975, a handful of renegade army officials killed Bangabandhu Sheikh Mujibur Rahman and most of his family members at his Dhanmondi 32 residence. Later the murder complaint was filed with Dhanmandi Police Station, and the delayed trial process began after Awami League under the leadership of Sheikh Hasina returned to power in 1996 general elections and scrapped the infamous Indemnity Act which until then protected the killers from justice. On November 19, 2009, the Supreme Court upheld a High Court verdict confirming capital punishment of 12 people for killing the Father of the Nation and most of his family members. Five of the convicts -- Syed Farooq Rahman, Sultan Shahriar Rashid Khan, Bazlul Huda, AKM Mohiuddin Ahmed, and Mohiuddin Ahmed -- were executed on January 27, 2010. The other killer, Aziz Pasha, died in Zimbabwe in 2001. Six other convicted fugitive killers of Bangabandhu, who have been hiding abroad, could not be brought back home yet despite the government's special efforts. The six fugitives are Col (dismissed) Khandaker Abdur Rashid, Lt Col (relieved) Shariful Haque Dalim, Maj (retd) Noor Chowdhury, Maj (retd) Rashed Chowdhury, Capt Abdul Majed and Risaldar Moslehuddin Khan.